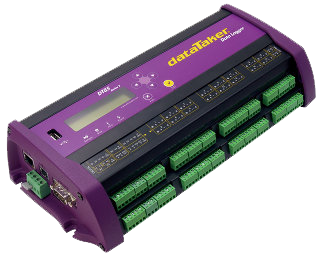 The dataTaker DT85M is a robust, stand alone, ultra low power data logger with an integrated 2G/3G modem that allows it to be used across a wide variety of remote applications.Automatic Data Delivery The days of travelling long distances to get your data are over. The DT85M’s automatic data delivery features allow you to schedule your data to be automatically emailed to your inbox every day, week, month or other time interval. More sophisticated systems can make use of the automatic data delivery features to send logged data to a FTP server.Alarm conditions can also trigger data delivery or alarm messages to multiple email addresses or mobile phones.deTermined Communications Mobile network outages can occur at any time and can last for minutes or days, however dataTaker have gone to great lengths to ensure the reliability of data transmissions. The DT85M can recognise incomplete downloads and will try again until the entire data file is transmitted, ensuring no lost data. If the network drops your logger, the modem automatically reconnects before the next scheduled transmission.If the mobile network has marginal coverage, the DT85M can scan for alternative networks and select the strongest signal.Easy to Configure The DT85M is configured directly in your web browser using datataTaker’s dEX graphical interface. dEX takes you through the configuration of your logger, showing you wiring diagrams and allowing you to decide – in as much or as little detail – how you want the system to work, suiting both novice and advanced users.Using the internal modem you can even re-configure your system remotely over the internet if required.